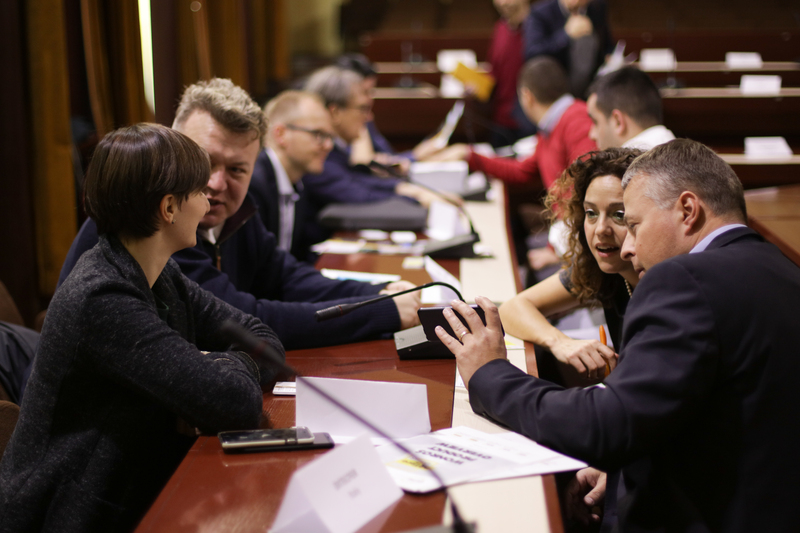 As a part of the PERES project presentation event in Belgrade, a B2B meeting session was held for over 30 attendee companies. Large number of event participants had a chance to meet with each other as well as the Cluster organizations partnered on the project. 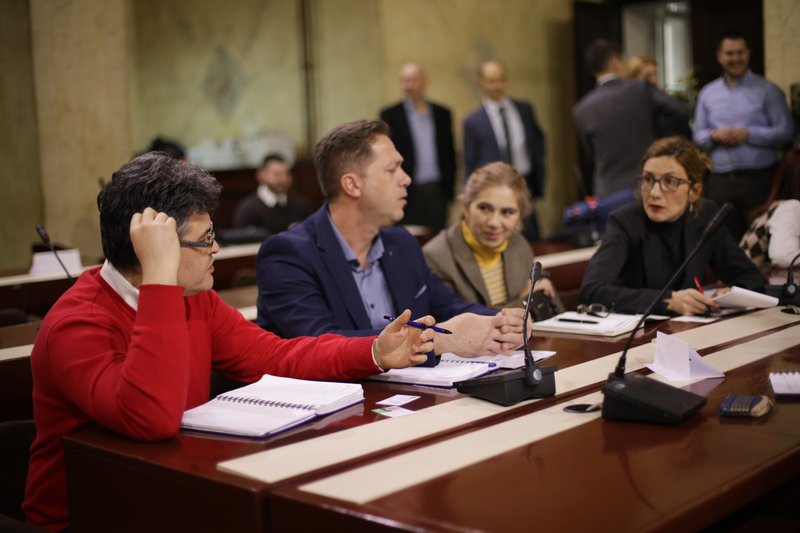 As the event host were Serbian Railways, participants also had an opportunity to meet the representatives of three national railway companies – Serbian Railways Infrastructure, Srbija Voz, national passenger transport operator, and Srbija Kargo, national freight transport operator. 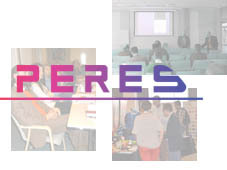 Partners involved in the PERES project gathered in Belgrade to present the current progress of the project and future plans to the interested member companies of the five Clusters. Five partner clusters – DITECFER from Italy, BTS from Lower Saxony, I-Trans from France, and the organizer, RCSEE which covers the six countries of Western Balkans, gathered its member companies at the premises of the host, Serbian Railways, for the presentation of current state of affairs of the PERES project and the upcoming organized pilot mission to the United States. Event participants were welcomed by the representative of the Serbian Ministry of Construction, Transport and Infrastructure, Ms Vida Jerkovic, Head of Department for Railways and Intermodal Transport, who gave them an overview of numerous projects on maintenance and renovation of the railway infrastructure in the Republic of Serbia, as well as the projects which are planned in the future period. Executive Director of the Serbian Railways, Mr Rajko Kovic, who expressed his satisfaction with the event, and stated that Serbian Railways will require modern and efficient infrastructure in the upcoming years and decades, and that it can only be done through close cooperation with railways and its suppliers. 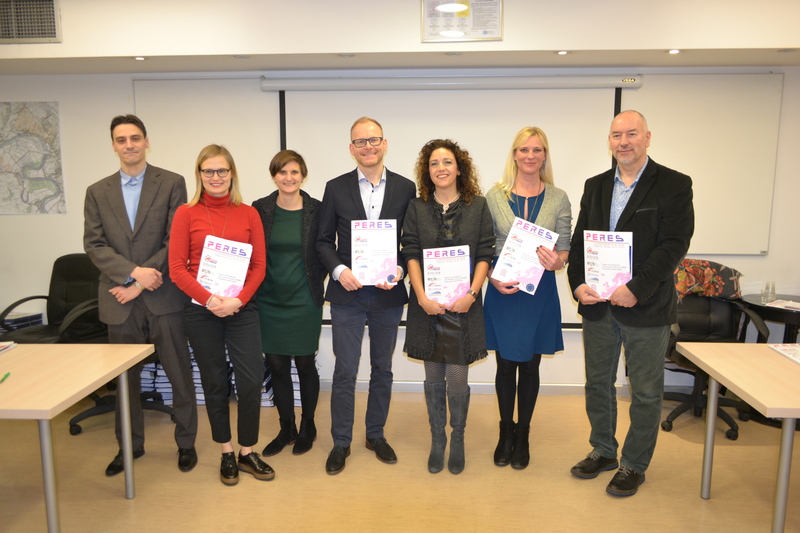 Event moved on to the results of the analysis performed by the PERES team – plans and capacity of the cluster member companies, along with the support they might need in order to achieve their internationalization plans. Finally, PERES team presented the plans for the upcoming pilot mission to United States and visit to the railway companies and stakeholders in Chicago, Cleveland, Erie and Pittsburg area, to be held in the period of March 30th-April 6th. 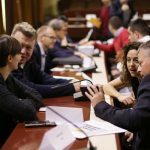 A large meeting of members of partner clusters involved in the PERES project is to be held on January 30th, in Belgrade, Serbia. 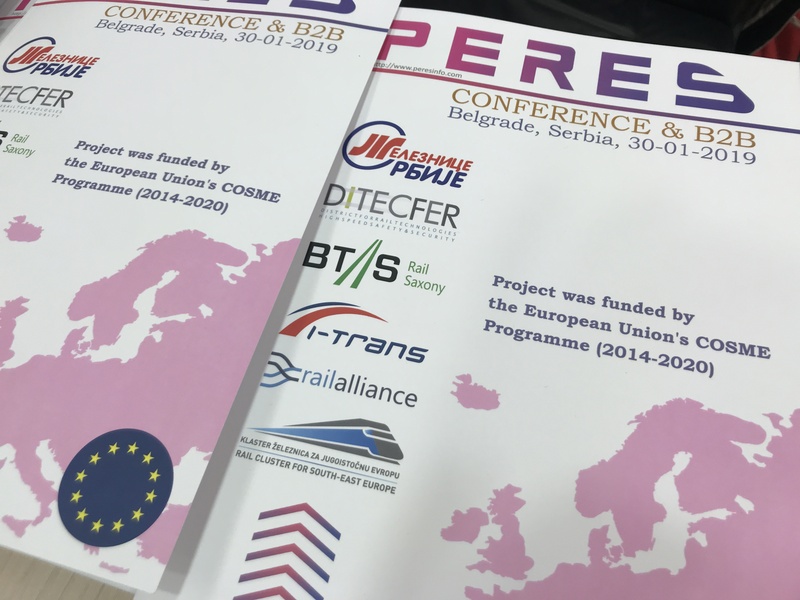 During the event, PERES team will present the internationalization strategy drafted for SME sector of European railway industry, as well as present the plans for the pilot trip to the United States, where selected companies will have an opportunity to meet with the representatives of US institutions, companies and other relevant stakeholders of their railway market. 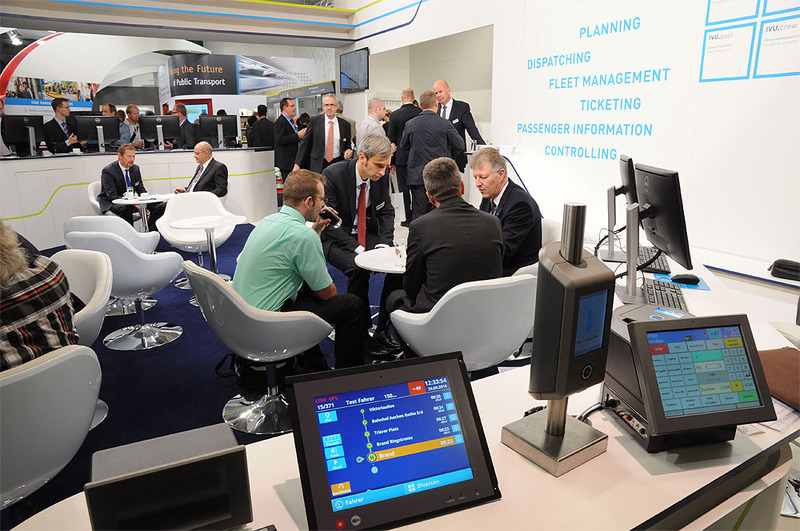 In addition, a B2B matching session will be held at the event, providing companies with the opportunity to network with other like-minded companies from the European railway industry. This event is of interest to all companies that seek to expand their business outside of the European Union, that aim specifically for the market of the United States, as well as the companies that wish to meet like-minded companies they could collaborate with. If you are interested in the event, please register at the separate webpage. 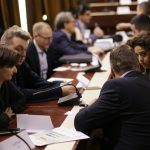 This meeting is organized within the framework of the PERES project financed by the European Commission under the COSME program (2014-2020) and aims to deepen the connection between European companies for mutual understanding and business cooperation and possible future joint participation in non-European markets. PERES Project manager, Veronica Bocci, was interviewed concerning the PERES project by Railway News. Interview can be found here. 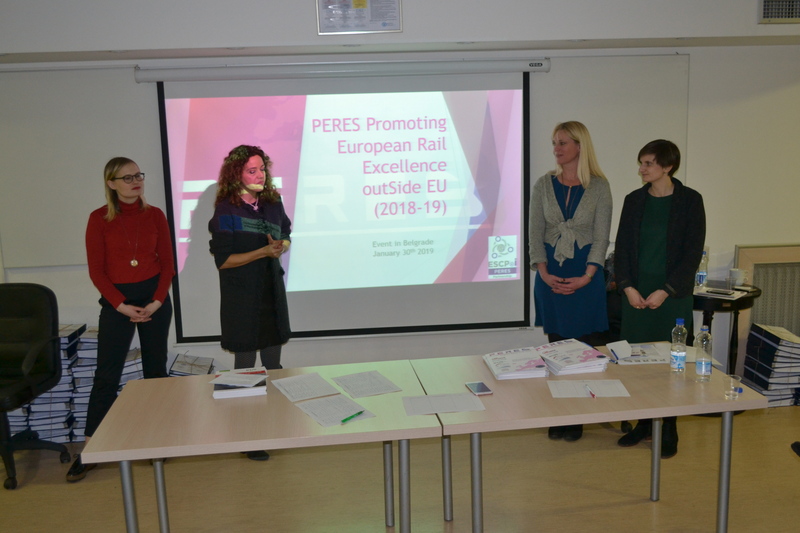 Veronica Bocci, project manager on the PERES Project and coordinator of DITECFER, gave an interview for European Railway Cluster Initiative concerning PERES project. Interview can be found at ERCI website. Members of Rail Cluster for South-East Europe (RCSEE) team visited several main exporting companies from the SEE region (Croatia, Slovenia, Austria, Serbia) in the February, March and first half of April 2018 and presented to them the possibilities for networking and preparing activities for entering non-European markets targeted by the project. RCSEE team informed managers of the companies about the following steps (conducting the survey) of the project and call upon them to fulfill the surveys and give more information about their experiences on the non-European markets and details about the interest and needs for their possible future business expansion outside the EU markets and European continent. 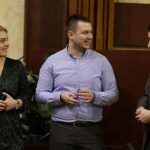 Similar meetings with the companies and managers from SEE region will continue through the April, May, June… in Macedonia, Serbia and Slovenia with invitations to join and participate in the project activities and as a preparation for PERES business conference which is also planned by the project in the second part of 2018. Commission and/or the Executive Agency for Small and Medium-sized Enterprises (EASME) or any other body of the European Union. The European Commission and the Agency do not accept any responsibility for use that may be made of the information it contains.